Podcasts are a big deal these days. Learn what makes audio programs unique – and where they are headed in wellness. What’s a great way for employees to experience some inspiration, mindfulness, humor, and compelling expert interviews in your wellness program? Answer: a phone and earbuds! Thirteen years ago, I had a long commute – 2.5 hours a day sitting in slow traffic. It felt like wasted time and it was stressful. The only thing I could do was listen to whatever happened to be on the morning radio shows. Fortunately, I had an iPod to listen to my favorite music, but even that got boring after an hour. I went onto iTunes and searched around the podcasts section. Wow! There were some pretty cool programs. I selected a few that sounded interesting, subscribed to them, and plugged my iPod into my car. My commute was never the same. I vacuumed up podcasts with a voracious appetite. Dozens of shows, thousands of episodes. And it wasn’t just long commutes. Now every time I took a short walk, exercised, needed to relax, did yard work, or couldn’t sleep at 2am, I listened to a show. And it turns out, I wasn’t the only one doing this. The popularity of podcasts have exploded, and I don’t use that term lightly. In just the past few years, the number of people who listen to podcasts has grown to 124 million Americans. We’ve hit a critical mass of people who have discovered them. The number of people who listen to podcasts has grown to 124 million Americans. Of course, we’ve always had audio – since the beginning of mass media. 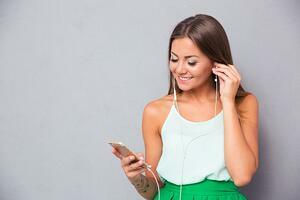 But in this age of on-demand digital content, audio is finding new niches everywhere. Google recently announced plans to double podcast consumption in the next few years. Their goal is to make audio content as valued as text and video, and to provide it everywhere – your car, on a walk, in your home. 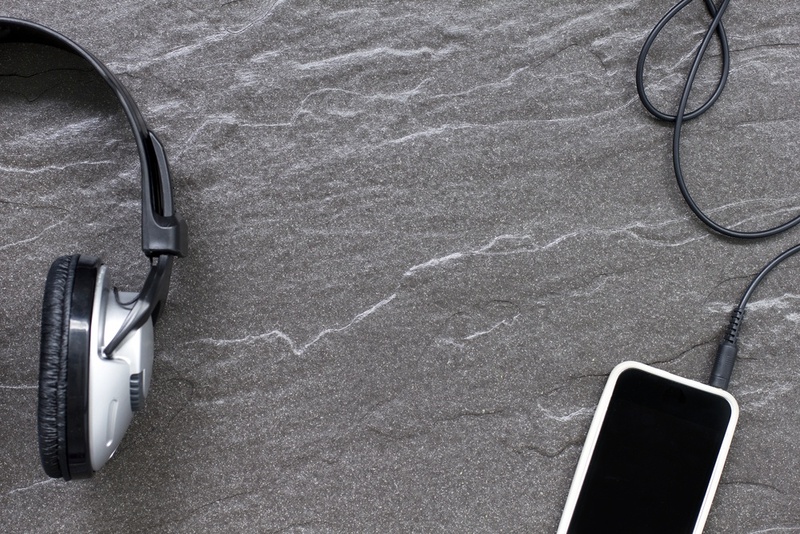 These trends all point to a growing demand for podcasts and related content. In fact, John and his colleague Jeff Goreski, CoreHealth’s Product Evangelist, produce a podcast for CoreHealth. In recent episodes, they have interviewed the first woman to hike the Trans-Canada Trail, the President of the Happiness Foundation, and a Master Nutrition Coach. “We are passionate about podcasting,” Dyck said, echoing most podcast hosts. That enthusiasm is what makes podcasts so compelling. Which brings us to what all this means for corporate wellness. In fact, wellness podcasts and on-demand audio programs are uniquely suited to address specific aspects of wellness. For one thing, mindfulness is a big trend right now, particularly for its power to help employees relax and develop enhanced well-being skills. Those skills and techniques are new to many people, and can’t be learned simply by reading an article. Even video is not well adapted for this purpose, since the goal of mindfulness is for the listener to shut their eyes, relax, and detach from the screen. Podcasts and meditation-style audio programs are best suited for teaching these techniques. Audio is also perfectly suited to walking and exercise. In fact, the main reason that podcasts have grown so fast is that mobile phones have become so integrated into our lifestyle. Podcasts allow us to fill any active moment with inspirational content. Audio is great for exercising, relaxing or learning new things. Listen to educational health experts, smoking cessation programs or practice mindfulness. CoreHealth has audio programs that can be used to fill out the program year, both as free-standing programs that employees can do in between big challenge events, or as a compliment to existing programs (like smoking cessation). They can also be used to add a drop of freshness to a program – something new and different for participants to try. And audio programs can serve as alternatives to health contingent standards for HIPAA compliance. Best of all, audio programs are easy to add, promote, and support. CoreHealth’s audio programs are available inside the wellness platform and are produced to the highest standards of accuracy and quality. Think of them as another arrow in the quiver, an important tool in your end-to-end wellness solution. Want to learn more? Check out Go Well Media or Contact CoreHealth. Greg Juhn is the Founder of Go Well Media, a partner of CoreHealth. Go Well develops online streaming audio programs for corporate wellness and population health. The company leverages the unique benefits of audio to deliver personal trainers, fascinating experts, life-skill programs, meditation and relaxation techniques, quiz shows, and stories about personal transformation. Learn more at www.gowellmedia.com.